Here's your very useful FAQ for all things Full Moon Party! During the 1980’s travellers noted that Haad Rin Beach on Koh Phangan was the most beautiful place to see the Full Moon and so a celebration was organised on the beach. The party grew over the years and now attracts around thirty thousand people to the island every month to party together like only young people can. How much is a ticket to the Full Moon Party? The cost to get into the Full Moon Party is 100 Baht. You pay this on entrance to the town area of Haad Rin. The money goes towards maintenance and cleaning up the beach! Where is the Full Moon Party in Thailand 2018? The island of Koh Phangan in the Gulf of Thailand. The area is Haad Rin. What date is the Full Moon Party in Thailand? The Full Moon Party happens when there is a Full Moon unless it falls on a Thai National Holiday or Buddhist Day when it takes place the day after. 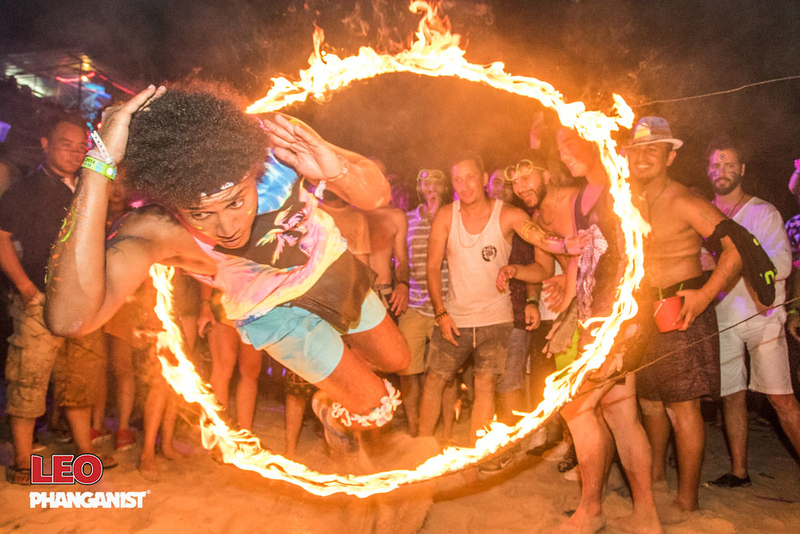 What Music is played at the Full Moon Party? 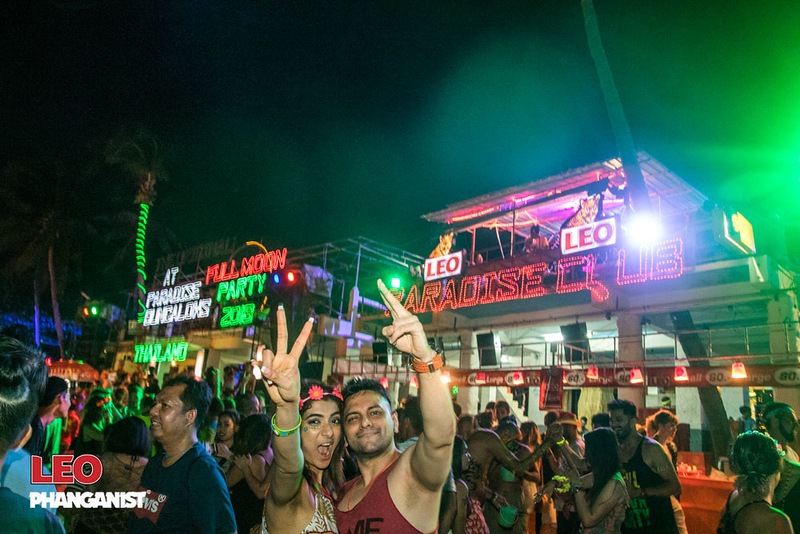 The main music played at the Full Moon Party is EDM but there are many locations and bars playing everything from R&B, Hip Hop, Pop, House, Techno, Drum n Bass and anything else you could want to hear! 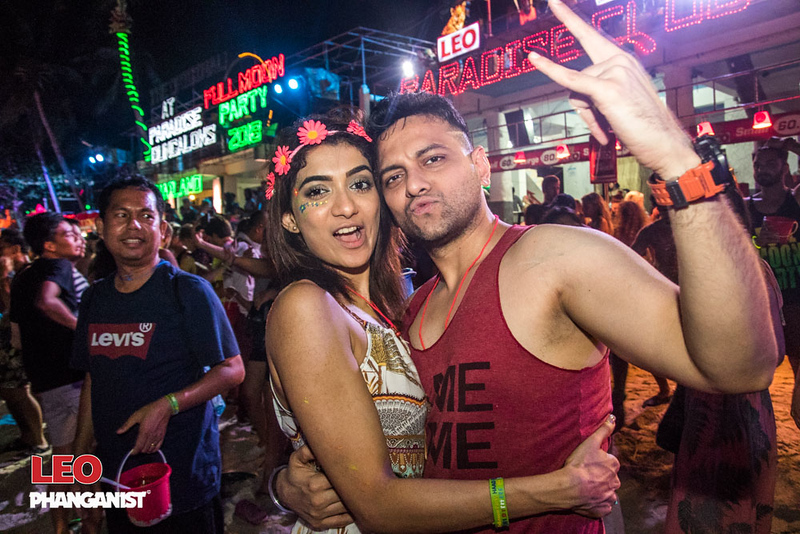 What time does the Full Moon Party start and finish? The music starts around 7pm but most people get there at midnight. The party continues till around 9am the next day so it is recommended to get there around 1 or 2am when the roads and beach are a bit less busy but you will still have a good 7 hours to party!! Where can I stay for the Full Moon Party? The Party is located in Haad Rin so if you stay there you are 5 minutes walking distance from all the action. However, most people these days choose to stay in Baan Tai where most of the hostels and pre parties are as well as lots of restaurants, shopping and things to do. A taxi ride from Baan Tai takes 15 minutes. What should I bring to the Full Moon Party? Take just money with you. Try not to take your phone, passport, valuables or anything expensive or you’d be sad to lose. Get a card or something with an address of your hostel or hotel in case you forget or get too drunk so that the taxi driver knows where to take you home. Most importantly bring happy vibes! How should I get there from the rest of the island? Taxis are available in number from all over the island, your accommodation may even provide them for you for a small charge. From anywhere on the island the Full Moon Party is only 15 to 30 minutes away. Is the Full Moon just one party? The Full Moon Party is on one beach yes however it is made up of many bars along this beach. In addition to that during the week of the Full Moon there are other parties that create together the whole full moon experience. These include Waterfall Party, Jungle Experience, Backyard and many more! There are parties before and after the actual full moon event.